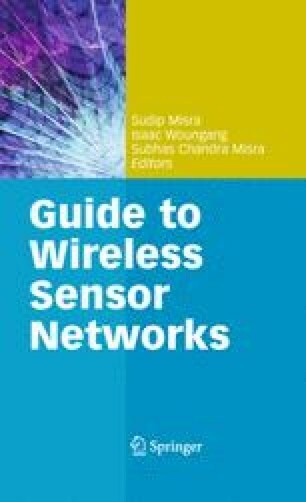 Wireless sensor networks (WSNs) present a range of unique challenges to protocol designers due to their communication pattern, poor, and unpredictable performance of their low-power wireless radios, wireless interference, and resource constrains of individual sensor nodes. One of the challenges is how to address congestion control and reliable data delivery in such environments: the nature of WSN applications (data centric, prone to redundancy due to multiple sensors reporting a single event) and infrastructure (sensor capabilities, and deployment density and strategy) invite significantly different solutions from those present in conventional networks. In this chapter, we present a survey of existing congestion control approaches and classify them based on various parameters such as mechanisms used for congestion detection and control, support for application specific design, target data delivery model, and support for fairness and reliability. Since, WSN applications exhibit a wide variety of communication patterns, existing literature has focused on three types of applications with regards to communication among sensors: one-to-one, one-to-many, and many-to-one. Reliability and congestion management approaches in the case of one-to-one (unicast) and one-to-many (multicast or broadcast) communication have been studied extensively in wired as well as wireless ad hoc networks, providing significant experience to draw on. However, many-to-one communication pattern involves various opportunities (e.g., loss-tolerance) as well as challenges (e.g., congestion management), thereby gaining major attention from the research community. Thus, the main focus of this chapter is on congestion and flow control approaches for many-to-one traffic pattern in WSNs.